I’ve found quite a few fantastic buys this month. Top of the list would most definitely have to be OPI’s ‘Avoplex: Nail & Cuticle Replenishing Oil’ which seems to have sorted out my nails a treat, after the battering they received following my brief encounter with false nails of one kind or another. I have previously been a huge fan of ‘Solar Oil’, but as my local nail bar didn’t have it in stock, I bought this instead, and have been incredibly impressed. I think the packaging suggests applying it twice a day, but I don’t usually find the time to apply it more than once a day. Despite this, it seems to have worked a treat, literally nourishing the nail with regular application. Yes, believe it or not, these are my own nails…! In case you’re wondering about the colour, it’s ‘Top Shop Nails’ in ‘Smoke’, which I bought on Saturday along with a shocking pink called ‘Paint it on’. 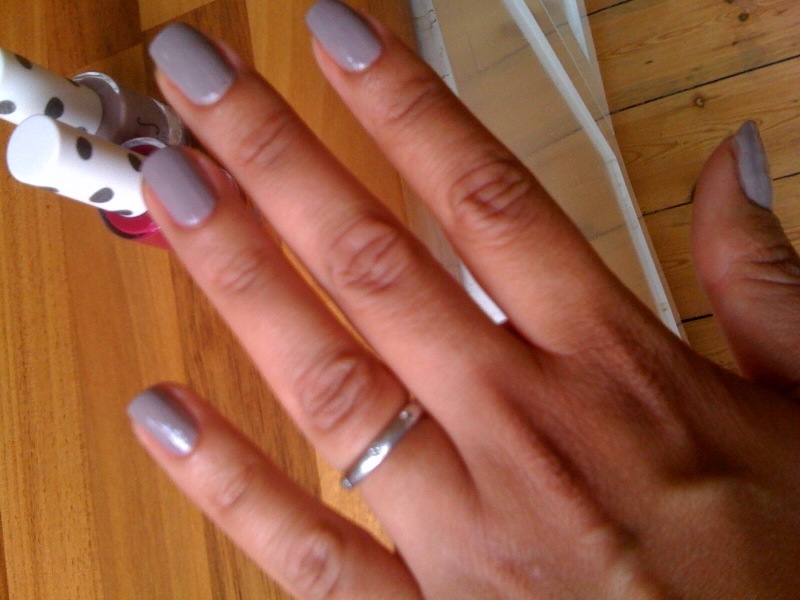 ‘Smoke’ is a variation on the beige theme (a la Jessica’s ‘Buck Nacked’ etc) but is actually more grey in colour. 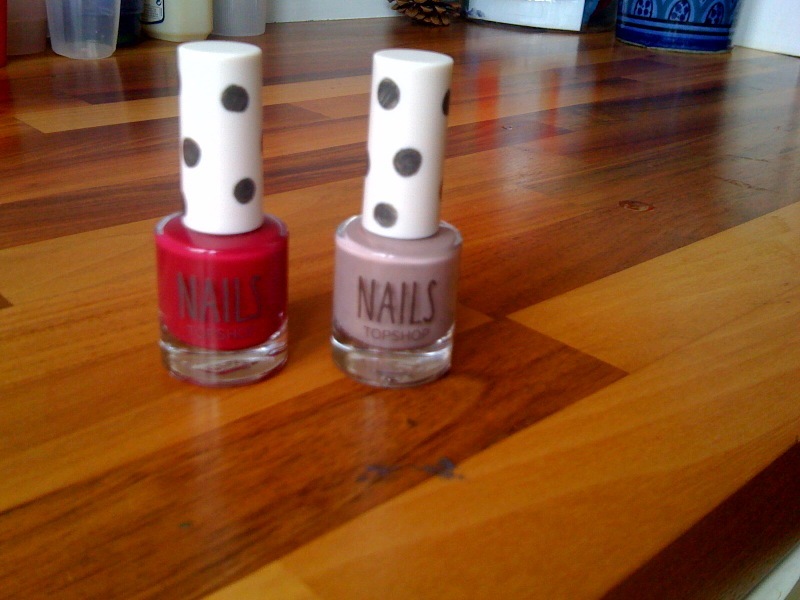 Top Shop nail varnishes cost £5. I am actually dead impressed at the quality of Top Shop’s make up range in general, although with those prices I don’t think you really can quibble too much. I am also currently road testing a French range of organic cosmetics called ‘Melvita’, which has recently opened a branch in Putney, and will report back. I also had a sneaky try-on of Lancome’s ‘Hypnose Doll Eyes’ on Saturday, following it’s launch that day. It claims to create a lengthening, thickening effct, and I have to say that despite my applying it over my old left over mascara , it did manage to create a brilliant ‘doll eyes’ effect. The secret seems to be in cone shaped wand which allows application right into corner of the eye. I’m going to be adding another mascara post soon, along with some pictures of my recent purchases in action, includes ones from Smashbox and Christian Dior so watch this space. « My first ever GlossyBox!